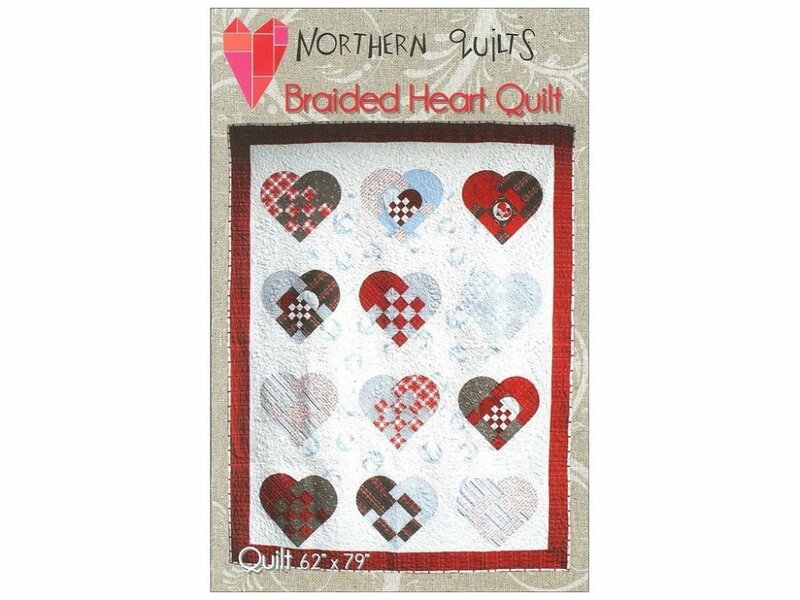 Northern Quilts Braided Heart Quilt Pattern. Inspired by traditional Scandinavian braided heart baskets, sometimes filled with candy and used to decorate Christmas trees. 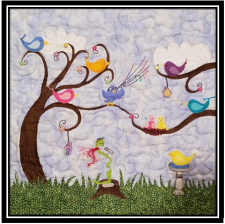 These 3 different heart blocks are easy to piece, applique, and combine to make a quilt that can not only be used during the Christmas season but all year round. Fat Quarter friendly. Finished project measures about 62 x 79 inch. Includes instructions, color diagrams, and paper applique patterns.